Kawhi Leonard has paced himself all year, taking nights off when he pleases and resting with free agency in mind. But now that the playoffs are here, the Raptors are ready to fully unleash their best player. Kawhi Leonard is just out of frame. Catch the Raptors on the wrong night and you will miss him entirely, for no other reason than Leonard prefers to sit out a game a week on a precautionary basis. He dodged every back-to-back on Toronto’s schedule. It has been a month and a half since he has suited up for more than three consecutive games. Leonard lost his 2017-18 season not only to a right quad injury, but to contention with the Spurs regarding its diagnosis and treatment. In the time since, he has taken proactive measures that are flatly unprecedented for an NBA player in his prime. Doing so has cost Leonard every bit of awards traction. MVP consideration is off the table. Defensive Player of the Year is likely out of reach. Even Leonard’s All-NBA candidacy is in jeopardy after playing just 51 games to date. If part of being a superstar is the carrying of a franchise’s daily burdens, then Leonard has quietly withdrawn himself from the category. All the while, his oft-mocked “load management” has worked as intended. Leonard is here in the end to play outstanding basketball for one of the best teams in the league, at only the cost of certain vanities. Toronto, meanwhile, has had every reason to oblige him—not only as a show of good faith to a free-agent-to-be, but as a way of maximizing the only certainty involved. The Raptors traded away one of the most beloved players in franchise history (and risked alienating the best player remaining on the roster) for a year of Leonard and the hope of more. The only guarantee was a honest shot at the Eastern Conference, provided that their new acquisition could stay healthy. Under the circumstances, scheduled rest was just shrewd business. This has all been building toward the playoffs, as it should. Toronto will begin its postseason course with its most dangerous team yet: a balanced, proven outfit with room for so much more Kawhi Leonard. There will be more minutes for Kawhi when it counts, stretching the dominant margins the Raptors have enjoyed whenever he shares the floor with other principal contributors. There will be no vacancy in the lineup every third or fourth game, further stabilizing what is already one of the most well-conceptualized rosters in the league. The full Leonard experience will force us all to consider Toronto in a different way, all without the bother of flipping a switch. All the Raptors have to do to contend is the very thing they’ve elected not to in the regular season: Play their best players as much as necessary every single game. Whatever it takes. It won’t always be pretty. 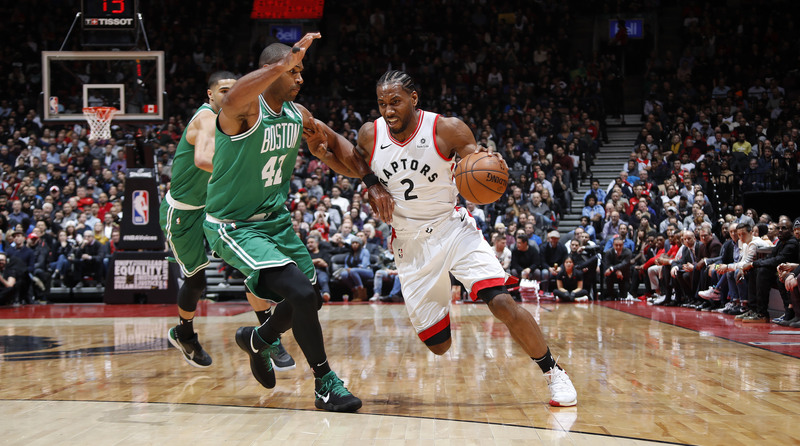 The fits and starts of Toronto’s lineup have led to some disconnects, the most glaring of which tend to coincide with Leonard’s control of the offense. His style does not necessarily facilitate democratic, movement-driven play. Leonard is an endpoint—an incredible one-on-one scorer at every level and across every dimension who, by the nature of the way he operates, can feel slightly intrusive. Some of the best work he does on the floor is a change of course. It might not elevate those around him, though it does elevate their chances of winning. The virtue of the Raptors is their lack of exploitable weakness. Toronto isn’t really bad at anything; this is a team that concedes little, contests well, and meets every opponent on solid ground. There’s a reason they’ve won three-fourths of their games this season essentially with or without Leonard. 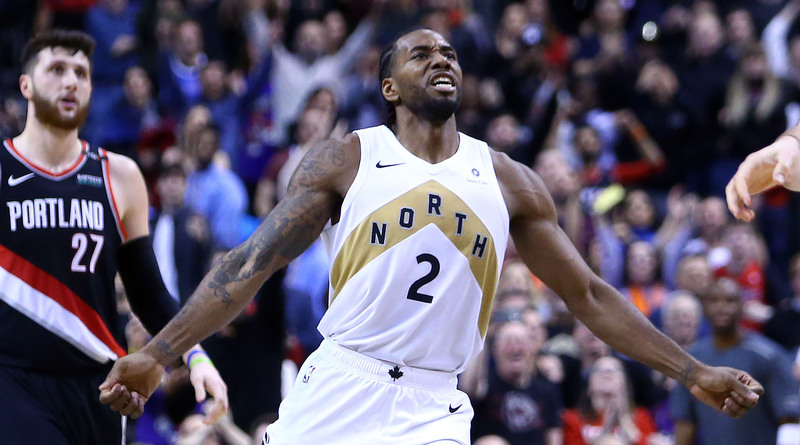 Having him in the lineup on a full-time basis, however, could be the difference in the Raptors thriving in spring and surviving through summer. Enduring the playoffs so often comes down to a team’s capacity to grind out possessions against the grain. If Leonard has a specialty, it’s this. One of his drives can barrel through several layers of defense. A timely hit-ahead pass his way can turn a borderline opportunity into a transition basket. There’s a track record with Leonard, but also a physical profile. He is exactly the kind of big, immutable wing who might push a team playing smart, system basketball into a different space. Kyle Lowry can run the show and Marc Gasol can help facilitate. Pascal Siakam can exploit lapses in attention and Danny Green will keep defenses honest. Then, when needed, the Raptors can call upon one of the best isolation scorers of his generation to change the very tenor of their offense. Sometimes the answer to busting a switch or breaking a scheme will be as simple as giving the ball to Kawhi. For as reductive as that approach might seem, its clarity of purpose is very much the point.